In case you are not aware, I will like to bring to your notice that the liver is the most hard-working organ in your body. You might be asking, why? Yes it is, because it is performing multiple function to keep your body free from toxins and also improve metabolism. The major function of the liver is to filter the blood coming from the digestive tract before passing it on to other parts of the body. Since the liver is serving such a great purpose, it wise for you to keep it healthy for optimal functioning. It is crucial for you to maintain the health of your liver, so that your body can function optimally. So, how can you achieve that? It is simple. You can simply incorporate some few, positive changes in your lifestyle and diet, this will go a long way in keeping your liver healthy. Let me show you some positive ways you can achieve that. Read on! There is a popular saying that "you are what you eat", this simply means your health greatly depends on your diet. Healthy eating habit is one big important way of keeping your liver healthy. You should include liver cleansing foods in your diet. Some of these foods includes; carrots, garlic, green tea, green leafy vegetables, apples, etc. They all have contribution in promoting your liver health. Over consumption of fried or processed foods, compulsive overeating and exposure to pollutants or stress can disrupt proper functioning of your liver. You should reduce fat-containing foods from your diet. On the other hand, increasing your consumption of proteins and fiber rich foods can result in a better liver health. Food specialists have indicated that fat consumption should be reduced to 20% in your daily diet. You should consume whole sources like chia seeds, flax seeds, broccoli, avocado etc. Too much salt does not only increase the blood pressure, but it is also a culprit or causing fatty liver disease, by retaining fluid in the liver. There you should try as much as possible to reduce your salt intake, most especially the processed ones. Overdose of some drugs like mood stabilizers, antidepressants, steroids and pain relievers can lead to malfunctioning of your liver. 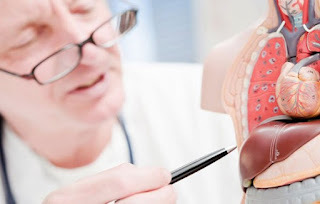 Also the over consumption of nutritional supplements leads to the production of certain liver enzymes, this can also cause damage to your liver. Let me also bring to your notice that an overdose of vitamin A is a common factor that can cause liver toxicity. So, you need to be aware of the side effects of different medications before engaging in them. Drinking lots of fresh juice and water in place of tea, coffee, or aerated drinks can keep your liver in optimal performance. If you ate not a teetotaler, then you should try as much as possible to limit you consumption of alcohol as it can cause adverse damage on your liver. Live a healthy life, and maintain your liver health by following the simple tips listed above. If you find this post informative, kindly give a gesture by sharing it with your friends on Facebook and Twitter, simply use the buttons below. I got to be sure to get some of those liver-helping foods in my diet! This is a great post. Liver health and cardiovascular health very important. Thanks once again Chi. This great post and list you have created bro. Thanks a ton Chi. You got me there huh!! Caffeine is my biggest problem and now I think it's time I took care of my health. now a days liver issue is increase day by day. you are really doing good job..
reducing fat is the way i like to keep liver longer life. I eat the healthiest diet (lol - it's true though, veggies and seafood) but my liver enzymes are higher than what they should. They always have been - so I believe there is a genetic component as well. Healthy liver is so very important!